Thanks to the unprecedented levels of wealth accumulated by baby boomers and the desire to help their offspring into an increasingly exorbitant property market, conversations similar to this are being repeated around Australia. Family lawyers have reported a sharp increase in demand for prenups, or binding financial agreements, which state how assets, liabilities and financial resources will be divided in the event of a relationship breakdown. “There is an absolute trend in people seeking binding financial agreements. They are significantly growing in popularity. We do hundreds a year now,” said Peter Carew, director of Carew Counsel Solicitors, specialists in family law. The desire to ensure that money gifted to children is protected in the case of a relationship breakdown is not the only reason for the rise in prenups. Individuals entering into second marriages are also increasingly looking to sign binding financial agreements to protect the assets they take into the new relationship, particularly if they have had a bruising experience in the family court at the end of the first marriage. Another source of demand is from couples getting divorced who use the agreements to avoid the need to go to the family court to have the assets divided between the parties. Binding financial agreements can be more cost effective and more expedient than going to the family court and carry the same weight as orders from the court, once the documents have been signed and certified by lawyers on both sides, experts said. Another reason for their popularity is fading concerns that they are not worth the paper they are written on. Courts now are supporting financial agreements. “They are unlikely to be set aside unless there is good reason for it,” Mr Carew said, such as fraud or duress. In the case of gifting money to children, lawyers suggested a financial agreement would not be warranted if the sum involved was less than $200,000. “It becomes more compelling if you are talking $500,000 plus,” Mr Carew said. If the parents wished to allow the partner or spouse of a child to build a financial interest in the asset that can be accommodated in a binding financial agreement, he added. A spouse could, say, be allowed to develop a 25 per cent interest in the asset over time, he said. 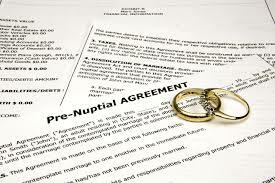 The cost of drawing up a binding financial agreement can start from $5000.